The National Museum building is located in the centre of Belgrade, on the main square, Republic Square. It was built in 1903. for the Fund Management, according to the project of architects Andra Stevanovic and Nikola Nestorovic. The building is a representative example of monumental public palaces from the end of the 19th and the beginning of the 20th century. It is conceived in the spirit of academic eclecticism with the dominance of neo-Renaissance elements. Decoration on the façades and in the interior of the building was done by Franja Valdman. Ivan Mestrovic's sculptures (20th century). 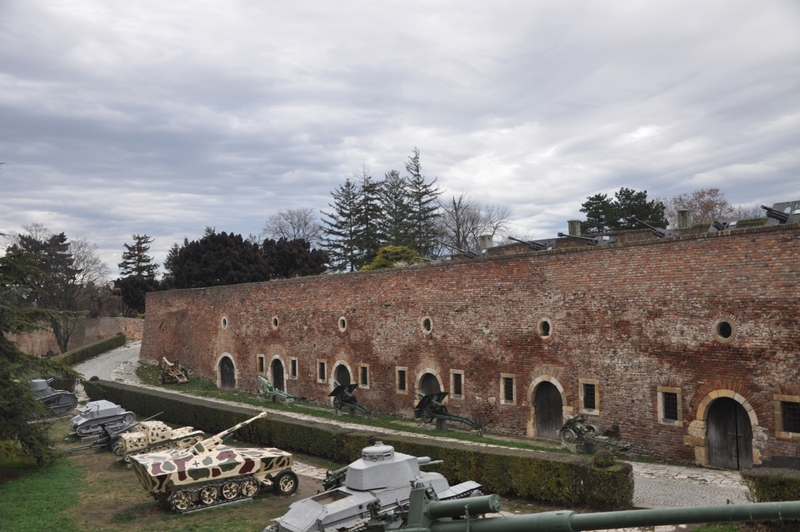 The Military Museum in Belgrade is located at the bastion of the 1st Southeast Front of the Belgrade Fortress in the building built in 1924. for the purposes of the Military Geographical Institute, which was transferred to the Museum in 1956. Surrounded by city walls and the largest and most beautiful Belgrade park, Kalemegdan, the museum is one of the symbols of the fortress. It was founded by the Command of Prince Milan Obrenović IV, 10/22. August 1878. at the proposal of the Minister of Defence, Colonel Sava Grujic. This was another manifestation of the acquisition of state independence. The first museum exhibition was opened in 1904, on the occasion of the 100th anniversary of the First Serbian Uprising as part of the crowning ceremony of King Peter I Karađorđević. In addition to the permanent exhibition of the Military Museum, several thematic exhibitions devoted to the anniversaries of world wars are organised every year, but studio exhibitions were also prepared as well as extensive research work on museum material. A dozen study collections have been formed covering about 30,000 cases of weapons, uniforms, decorations, and flags. The work on the processing and publishing of museum collections is a permanent activity of the Museum. In 1954, the annual Vesnik was launched and to date, 42 numbers have been published. 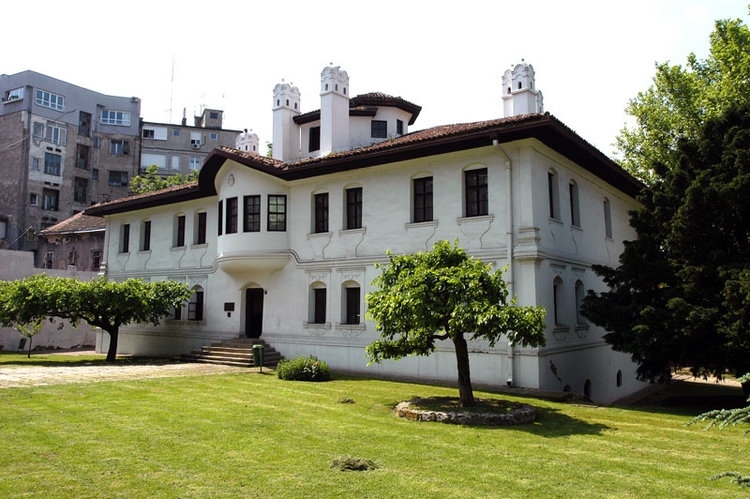 The Ethnographic Museum is one of the oldest on the Balkan peninsula. It is there more than one century as a significant ethnological institution that thoroughly studies traditional culture. To date, eight permanent exhibits have been opened in the Ethnographic Museum and about 300 occasional exhibitions have been organised. The permanent exhibition occupies three levels of the building. 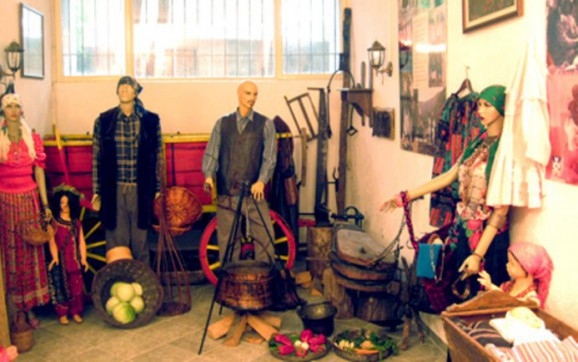 Today, the Ethnographic Museum keeps a large number of ethnographic items, placed in separate collections (furniture, jewellery, customs, folk costumes, folk architecture, economy, livestock, traffic, cult objects, etc. ), has one of the richest professional libraries in the Balkans and publishes professional publications, has a conservation service that deals with almost all kinds of materials, has a large exhibition space, organises extensive ethnographic research and has many will and knowledge to study the XIX century both ethnologically and anthropologically. The Museum of Applied Art was founded in 1950 and belongs to the category of art museums of a specialised type. In addition to national applied arts items the museum houses items from a number of other countries, collected through cultural and economic relations. The Museum of Applied Arts purchased a valuable collection of various artistically processed objects upon its opening, collected during a period of thirty years by the painter and engraver Ljuba Ivanović. The collection contained over 3,000 objects, the most prominent in terms of their historical and artistic value being the works of jewellers, objects carved from wood, resin and mother of pearl, woodcuts and painted icons. The oldest items owned by the museum date back to the 4th century B.C.E. and are part of the numismatic collection (ancient Greek coins). The building housing the Gallery of the Museum of Natural History is one of the oldest buildings, erected between 1825 and 1835 within the complex of the Belgrade Fortress. It was built to be used by the sentries guarding the main approach to the Stambol Gate. The remains of animals from the Ice Age (spiral twisted tusks of a woolly mammoth, the skull of a woolly rhinoceros, vertebra of a cave bear, horn of a giant deer) and fossil remains indicating that the area of Belgrade was the location of a warm Pannonian Sea fifteen million years ago (shells, corals, “beogradica” snails, tooth of the Carcharocles Megalodon shark) are particularly attractive items in the permanent exhibit. It was founded in 1952 and opened to the public in 1955. The museum holds the entire legacy of Nikola Tesla. The museum has got a rich collection. Over 160000 original documents, 2,000 books and magazines, about 1200 historical and technical items, over 1500 photographs and other items, devices and instruments, more than 1000 plans and drawings. Nikola Tesla Museum is a unique institution in our country and in the world. He owns the largest collection of documents about the life and work of the world scientist Nikola Tesla. It has a great significance for scientists, and will also research a wide audience. As such, it contributes to a wider and clearer insight into the great contribution to science and society, which Nikola Tesla, through his fruitful work, gave to all mankind. 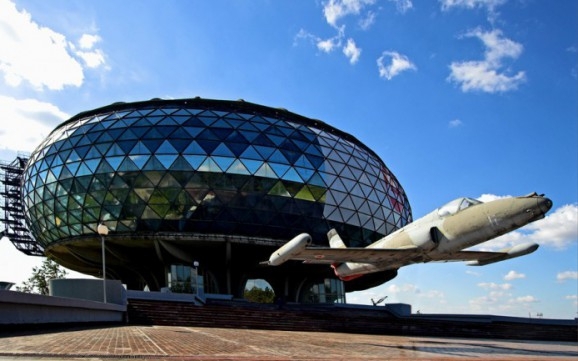 The Aviation Museum was founded in 1957, at the Air Force Command (Air Force and Anti-Air Defence). Since 1989, it has been placed in a modern glass and concrete building at Belgrade's airport. The collections of the museum have over 200 aircraft, of which visitors can see 50 aircraft in the building and a dozen on the plateau around the building. Some of the exhibits are in the depot of the museum and are waiting for restoration. Amongst them, the most important place has the Italian fighter Fiat G-50, the only one preserved in the world. The museum also contains the replica of the Sarić 1 aircraft of Ivan Saric, the aviation pioneer from Subotica. He made the first flight on that craft, at his own production, in 1910. Of historical significance is Oluj 11, the first armed plane used in the Serbian army. The first aircraft manufactured in Serbia, Fizir FN, was also exhibited in the first factory of aircraft in Serbia, Ikarus. In addition to the aircraft of its own development and production, the collection also contains a large number of World War II airplanes, of different origin, from several participating countries. Amongst them are Hawker Hurricane, Spitfire, Thunderbolt, Jak-3, Il-2 Sturmovik, Messerschmitt Me 109 G-2 and others. After the NATO bombing of the FR of Yugoslavia in 1999, the Aviation Museum collected a significant number of exhibits related to this event. The most significant amongst these exhibits are parts of the American so-called. an invisible bombarder F-117 Night Falcon and an American fighter-bomber F-16 fighting falcon that have been knocked down by the Anti-Air Defence of Yugoslavian Army. Also, a large number of documents and texts on airborne units and facilities are available in the museum. It was founded in 1903. as a Municipal Museum, and after World War II it received today's name. It houses funds and collections with over 140,000 items, which represent a testament to the long and rich history of one of the oldest cities in Europe. Museum items were collected and systematised in three professional departments: archaeological, historical and artistic. The departments are divided into 25 sections in which there are 23 legacies. The Documentation Centre and the Department for Conservation and Restoration also operate in the Museum. Due to the lack of space, there is no permanent exhibition organised (which existed from 1945. to 1960. ), and its exhibit activities are realised by the Museum in regional museums. In the Konak of Princess Ljubica, Museum organises thematic exhibitions of their own production, as well as visits by other institutions. In the annexe of the Nebojša Tower the history of the Tower as a military facility that has been, ever since its construction around 1460, a part of the defensive system of the city. 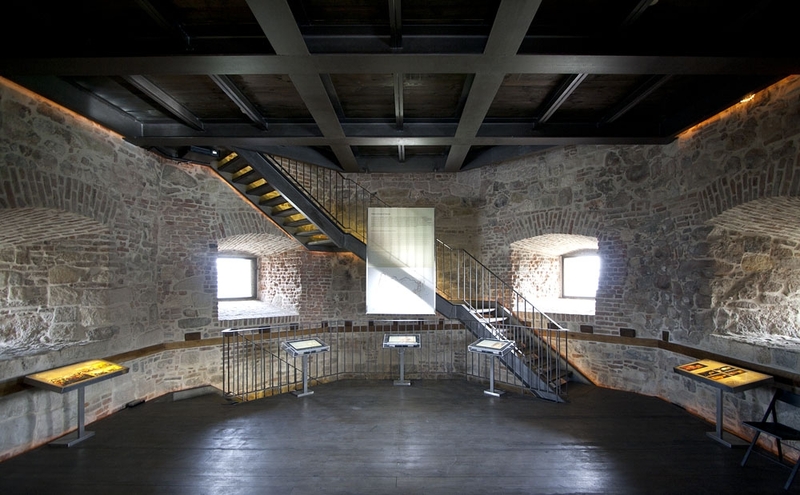 The exhibition on the ground floor is devoted to the history of Nebojša Tower as a prison, while the one on the first floor is dedicated to the personality of Rigas Feraios, a great Greek poet and a revolutionary who died in the prison of the Tower. The topic of the exhibition on the second level is the First Serb Uprising and the creation of the modern Serbian state at the beginning of the 19th century. On the topmost level of Nebojša Tower, the history of Belgrade in the first decades of the 19th century is presented, as well as the process of transformation of the Oriental town into a modern European city. 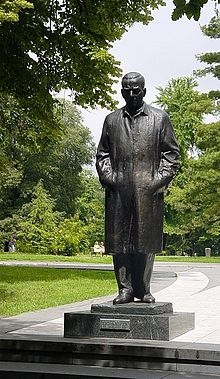 Ivo Andrić is one of the most important writers and intellectuals of the 20th century in Yugoslav territories. To this day, he is the only winner of the Nobel Prize for literature in this region. 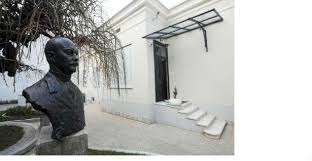 Immediately after the death of Ivo Andrić, on March 13, 1975, the Ivo Andrić Memorial Museum, as part of the Museum of the City of Belgrade, was established by the decision of the Belgrade City Assembly. In 1958, after concluding his marriage with Milica Babic, Andric moved from Prizrenska street 7 to a common apartment in the Proleterske brigade street 2a (now Andrićev venac street 8). The living space of 144 m2 is conditionally divided into three parts - authentic space, which includes the entrance hall, the salon and the Andrić's study room, and the exhibition space of the museum exhibition obtained by the adaptation of two bedrooms. A special unit consists of working offices of curators and guides and museum depots, which are located in an adapted space of former auxiliary spas - kitchen, chamber rooms, bathrooms, and clearing. In addition to representative documents (indexes, passports, plaques, diplomas, Nobel Prize and medals, Vuk’s Prize, honourary doctorates) and photographs, in the exhibition, you can see the original manuscripts of Andric's works, letters, editions of his books in various languages, as well as some writer’s personal items. Andrić's personal library, which is mostly located in the working cabinet, contains 4502 books, is museologically processed and described bibliographically. 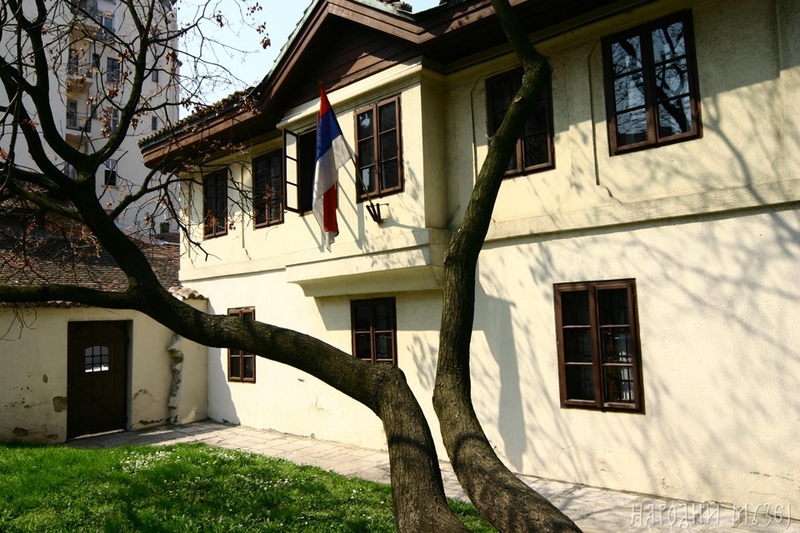 The Museum of Vuk and Dositej, a memorial museum, is dedicated to two great giants of Serbian culture, Enlightenment and First Serbian Minister of Education Dositej Obradovic and a Serbian language reformer, the creator of the Serbian literary language, Vuk Karadžic. Older and richer is Vuk's collection. It was established at the end of the 19th century, when Vuk's daughter, Mina Karadžić-Vukomanović, donated his legacy to the Kingdom of Serbia. This collection was the first of the collections of the National Museum, whose professional catalogue was entirety printed. The description of Vuk Stefanović Karadžić's items was published in 1900 after Mihajlo Valtrović professionally processed the material handed over to the National Museum. Vuk's legacy was exhibited at the National Museum within the Vuk Memorial Room and later within the Historical Department of the Museum. Part of the Vuk's legacy, especially furniture, disappeared or destroyed in 1915, when the building of the National Museum, as well as in the time of occupation, was hit during the Austrian bombardment of Belgrade. The collection includes the personal and family objects of Vuk Karadzic, portraits and art heritage, the first editions of his books and numerous archival materials. Unlike Vuk's legacy, there are no personal items of Dositej Obradovic because they were destroyed in the fire in 1813. Therefore, a part of the museum collection that relates to it is mainly based on visual artwork, archival material, Dositej’s correspondences and books, amongst which are the first editions of his works. The Museum of the National Theatre was established in 2010 in the reconstructed space, in the basement of the building, following the design of architect Milan Pališaški. 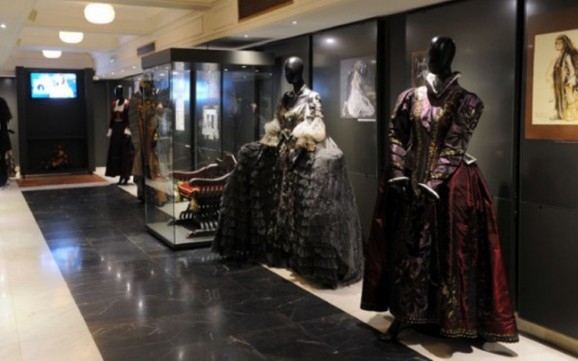 The permanent exhibition comprises a historical overview of the development of all segments of the theater art of the National Theater along with a thematic exhibition entitled Contemporary Costumography and Scenography on the Stage of the National Theater and The Greats of the National Theater on Postage Stamps. Theater are organized and are accompanied by expert guides. Be brave enough to jump into an illusion created by the Vortex Tunnel! It will drive you crazy and make you believe you’re heavily struggling just to make a step forward through a rotating cylinder – on a surface so stable and flat! 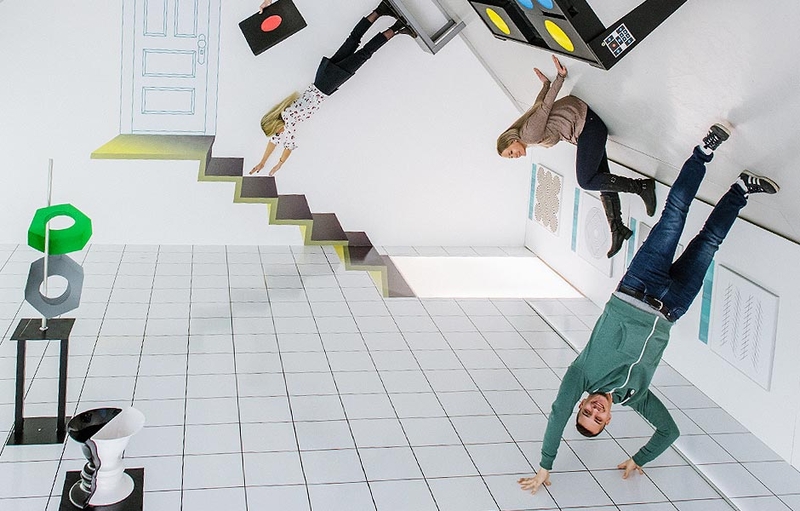 See yourself on the ceiling of the room, let yourself free in an Infinity room, resist the laws of gravity and size ratio, and take pictures of yourself in every possible pose! 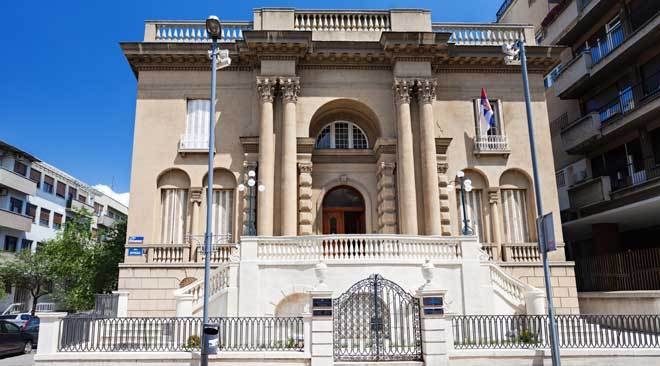 The museum was founded in 1989 at the initiative of the academic Aleksandar Despić, the Serbian Academy of Science and Arts and the support of twelve economic organizations. The museum became an institution of the Republic in 2003, while in late 2005 it was awarded the building of the first public thermoelectric plant in Dorćol. 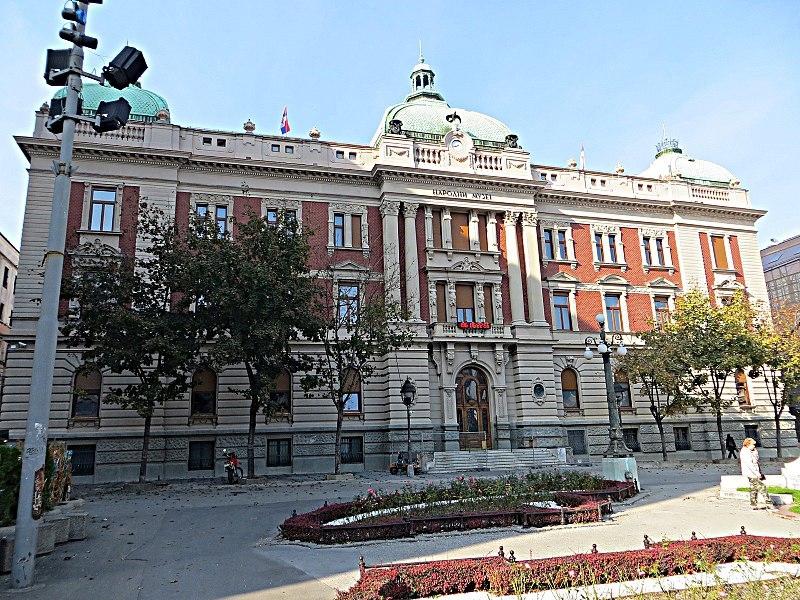 The project for the reconstruction and expansion of the Museum of Science and Technology, by the author Boris Podreka, is being undertaken as part of the National Investment Plan of the Republic of Serbia. Despite the ongoing reconstruction, over 2,500 m² of exhibition space is open to the public, with twenty-five museum collections presenting over 700 items, documents and photographs, audio and video materials. Serbian largest exhibitors and artists with their excellence and innovation are in the continuous sale offer which includes a wide range of artworks – paintings, drawings, sculpture, prints, photography and related new media, installations and video pieces. 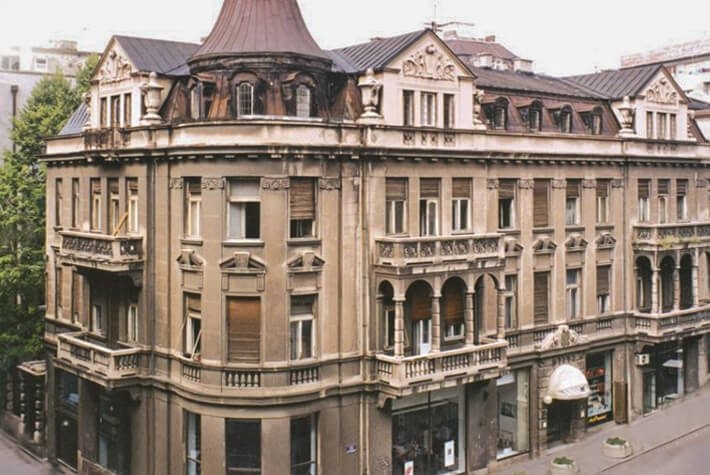 The Zepter Museum was opened in 2010 in the representative building of the former First Croatian Savings Bank, in Knez Mihailova Street in the centre of Belgrade. 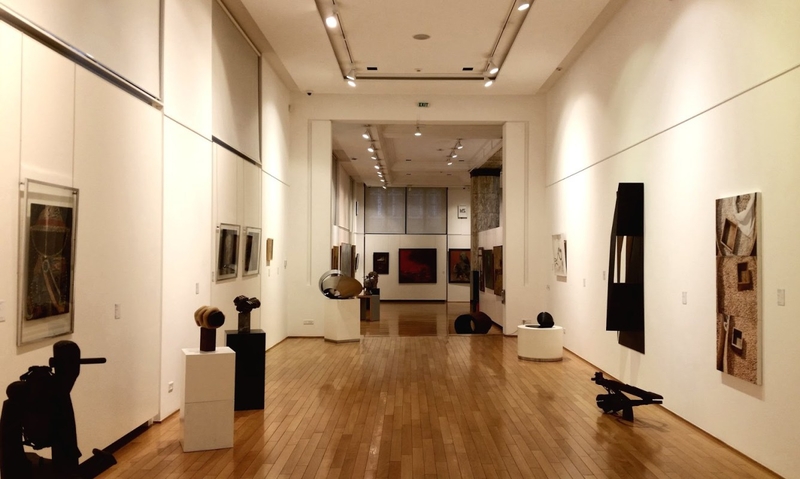 It is the first private museum institution in Serbia, with a collection of 350 artworks by 132 artists, which represents a complete view of Serbian art (painting, drawing, pastel, sculpture, installation) in the second half of the 20th century. 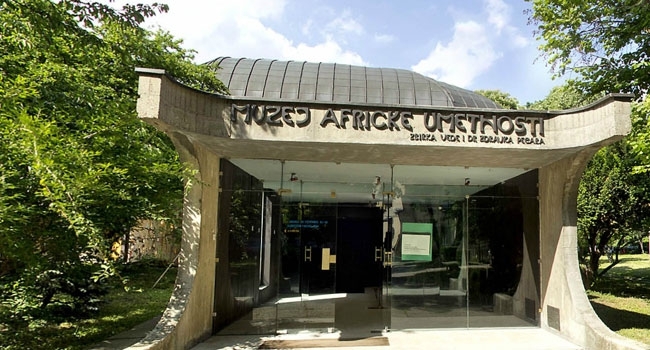 This museum arose out of the collection of original art items collected by Veda Zagorac and Zdravko Pečar, PhD during their long stay in Africa, and presented to Belgrade in 1974. The collection contains approximately 1,800 art items, mainly from West African countries: Mali, Guinea, Senegal, Upper Volta, Ivory Coast, Ghana, Togo, Benin, Cameroon and Nigeria. The items represent part of the traditional culture of the peoples: Dogon, Bambara, Malinke, Mosi, Bobo, Baula, Kisi, Baga, Dan, Gere, Senufo, Ashanti, Fon, Yoruba... It is a collection of a cult, magic, decorative and practical items made of wood, bronze, textiles, stone and ceramics: masks, sculptures, musical instruments, cloth, jewellery, applied objects and miniature bronze plastics (450 gold weighing weights from Ghana). The building housing the Jewish History Museum was erected in 1928 for the needs of the Jewish Sephardic Municipality in Belgrade. The German Kulturbund was located in the building during World War II. The museum is currently located on the first floor. 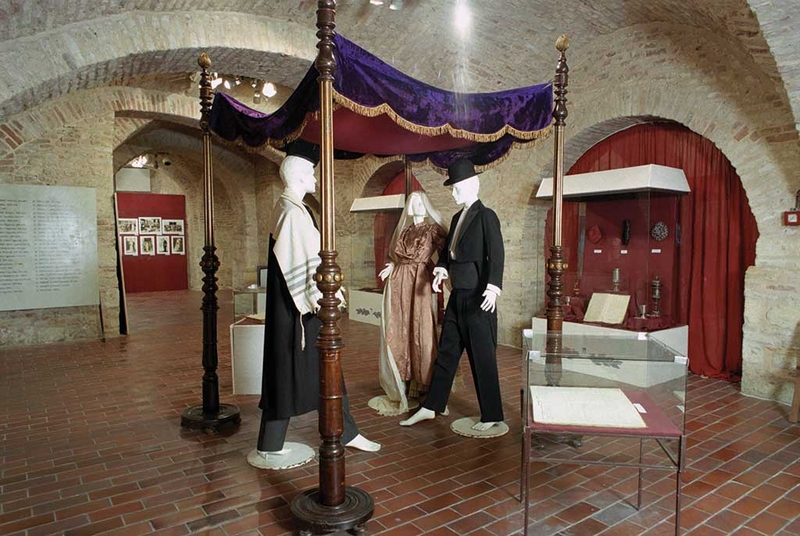 Through items, documents and photographs, this museum preserves the history of the 2,000 years of Jewish presence on the territory of the former Yugoslavia. It contains depictions of synagogues, graveyards, customs, the history of Jewish municipalities, Jewish societies and schools, notable persons and the Holocaust. 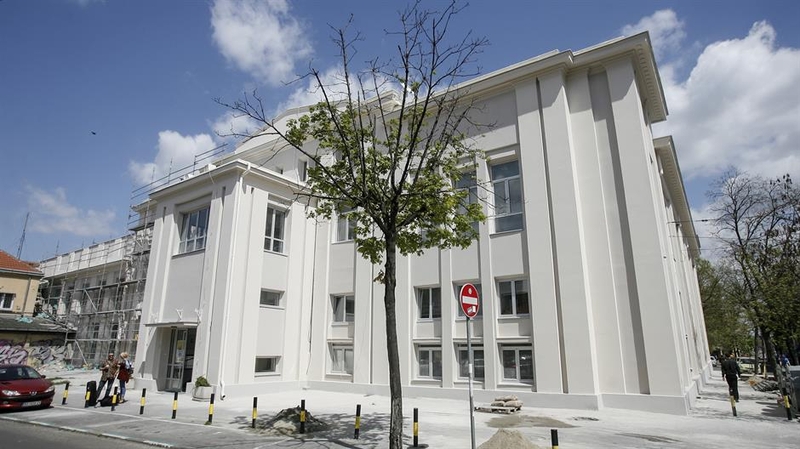 The Roma Museum in Belgrade was opened in 2009 at the initiative of the Roma Community Centre, with the financial support of the Belgrade City Assembly. The museum was thus far host to the exhibits: Alav e Romengo – written culture of the Roma, The Holocaust that Cannot Be Forgotten, An bibijako sastipe – To Bibija’s Health, Our Fellow Citizens, The Roma and the Roma St. George’s Day Meetings, containing the permanent exhibit – Roma Material Culture. The building housing the museum was built in 1929 as the first public garage in the city centre, designed by the Russian architect Valeri Stashevski. 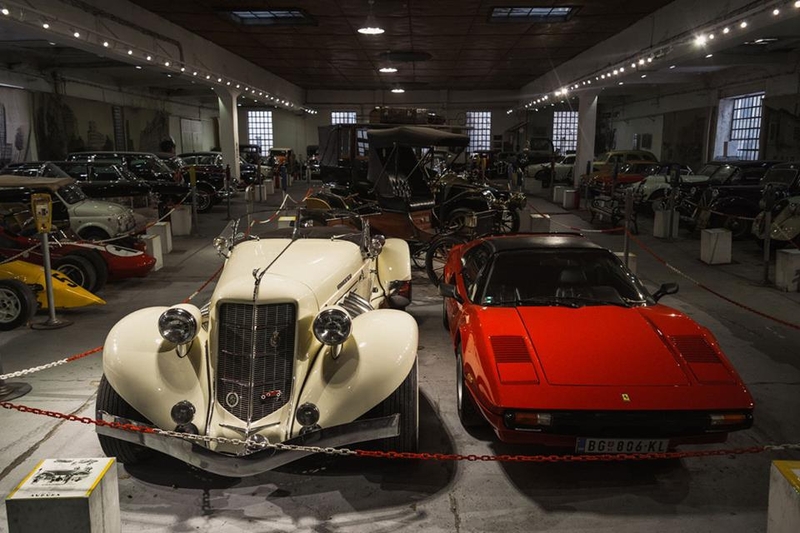 It was named “Modern Garage” and declared a cultural heritage item. It housed the automobiles used in the First International Automobile Race held in 1939 in Belgrade. 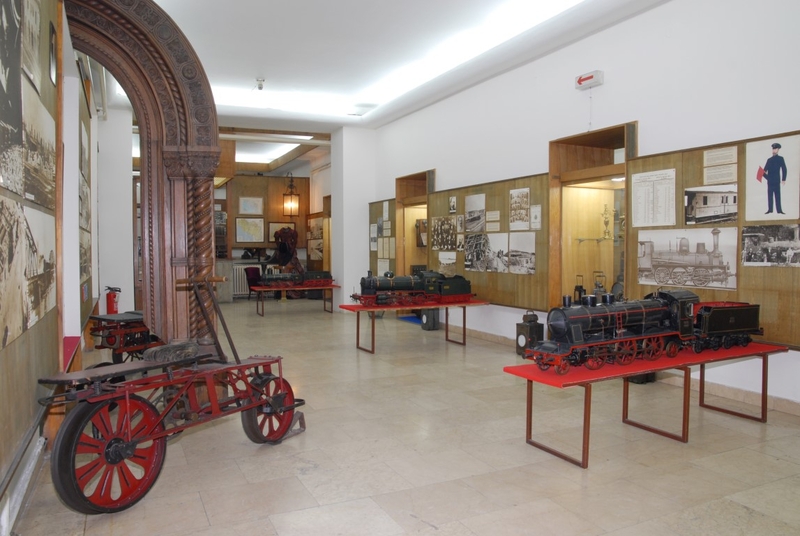 The collection contains a unique display of 50 old and rare automobiles – the oldest of them being a Marot Gardon from 1897, as well as the license plates, drivers’ licenses, the first traffic regulations and photographic recordings of the birth of automobiles in Serbia. The Museum of Contemporary Art in Belgrade was opened on October 20, 1965. The activity of the Museum begins in 1958 when the decision of the founding of the Modern Gallery, an institution whose task was to follow the development of Yugoslav and Serbian contemporary art, was made by the act of the Council for Culture of the National Committee of the City of Belgrade. The building of the Museum of Contemporary Art is the work of the architects Ivana Antić and Ivanka Raspopović, was built between 1960 and 1965. It was opened for visitors on October 20, 1965, and closed in 2007 when the first phase of reconstruction and adaptation began. 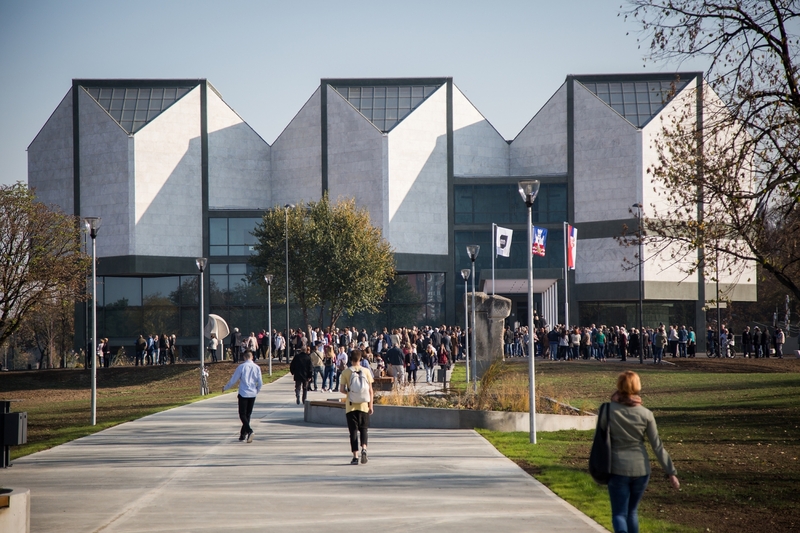 The final phase of the works was completed after ten years in September 2017, and the ceremonial opening of the Museum of Contemporary Art took place on the 20th of October, marking the 73rd anniversary of the liberation of Belgrade in World War II. The collection of the Museum of Contemporary Art has been established since 1958, and now it has more than 8,000 works and represents the development of artistic creation of the 20th and 21st centuries in the space of not only Serbia and the Balkans.